Belle Epoque 420 Thread Count Sheets with Hemstitch. 1. Incredible luxury. Unbelievable soft hand comes from Belle Epoque processing formula combined with highest quality compact combed cotton yarns. 2. Oversized sheets. Flat: 1 foot longer than standard flat sheet with 6-inch hem at the top and 1-inch mitered hems on the sides and foot of the sheet. 6-inch hem features meticulous hemstitch for added beauty. Extra length provides additional turn back for luxury look. Fitted: Deep pocket fits up to a 20-inch mattress. Elastic is sewn in all around for secure fit. Pillowcases: Oversized with 6-inch cuff and hemstitch detailing to match flat sheet. 3. Soft mirror finish. 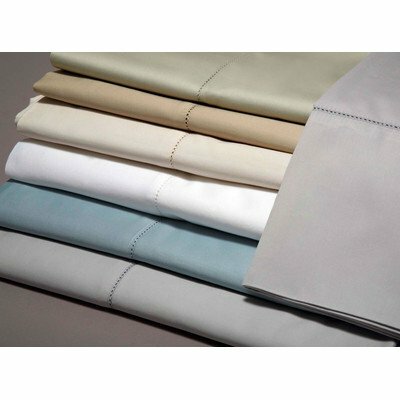 Special processing ensures that these sheets will be satin-soft and pill-free after many wash and dry cycles. Every Belle Epoque product is distinguished by timeless elegance, flair of design, and superior quality. Sizes: Twin, Full, Queen, King, California-King; Standard and King Pillowcase pairs. Available in White, Champagne, Taupe, Dove, Lilac, Blush, Sage, Rosewood, and Azure. If you have any questions about this product by Belle Epoque, contact us by completing and submitting the form below. If you are looking for a specif part number, please include it with your message.